Stuck on what to get? Take the guess work out of finding the right gift! Let your friends and family pick their own gift from over 24 retail stores at Toowoomba Plaza, including Kmart and Coles where EFTPOS and Credit Card facilities are available. 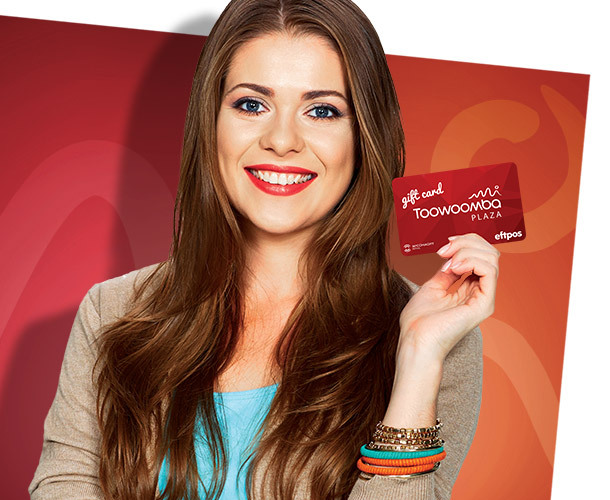 Toowoomba Plaza gift cards can be purchased at our Centre Management office and in any denomination between $10 and $500. 3.The amount of your purchase will be deducted from your card balance. This gift card is issued by McConaghy Retail Pty Ltd ABN 96 108 357 179 and is redeemable at any participating Toowoomba Plaza?store via EFTPOS. Participating stores may change from time to time.